Dry extract from Goldenrod with impressive qualities! Studies suggest that the content of the active substances, that provide for the benefits of the herb (mainly flavonoids), depend on the place and time of the raw material harvesting. *  This positions the European herb above all the rest. Take the capsule after meals with plenty of liquid (about 1 glass of water). 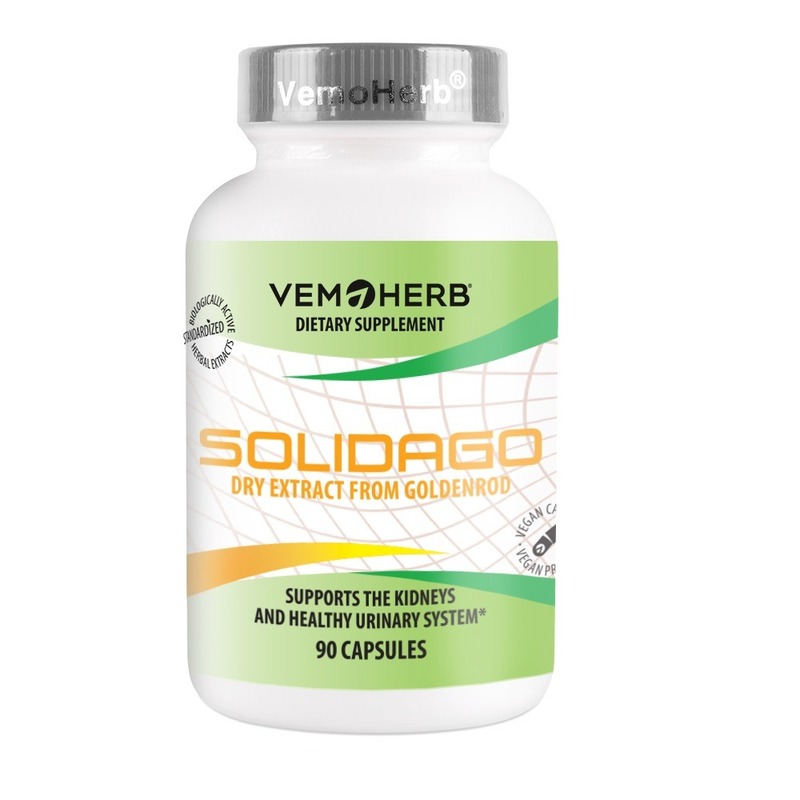 Context: Solidago virgaurea L. (Asteraceae) is traditionally used as an anti-inflammatory for the treatment of various symptoms including cystitis. However, little is known concerning the constituents responsible for this activity and the mechanism of their action. Objective: To assess the anti-inflammatory activity of the phenolic-rich fraction of S. virgaurea aerial parts in rats, isolate and assess the activity of the major compounds present. Materials and methods: An HPLC method was developed for the analysis of the phenolic-rich fraction (EtFr). The in vivo anti-inflammatory activity of the EtFr and four isolated compounds (at 25 and 50 mg/kg) were assessed in adult male rats using the carrageenan-induced rat paw oedema model. The levels of the pro-inflammatory cytokines (TNF-a and IL-1b) were measured using ELISA. Results: 3,5-O-Dicaffeoylquinic acid (1), 3,4-O-dicaffeoylquinic acid (2), 3,4,5-O-tricaffeoylquinic acid (3) and 4,5-O-dicaffeoylquinic acid (4) were isolated from EtFr. Compound 3 (50mg/kg) showed a highly significant activity in inhibiting the oedema volume after 3 h (88% of the activity of indomethacin at 10mg/kg). The EtFr and the isolated compounds largely inhibited the excessive production of the inflammatory mediators TNF-a and IL-1b. Discussion and conclusion: This is the first report of 3,4,5-tri-O-caffeoylquinic acid (3) in Solidago species. The tricaffeoylquinic acid (3) showed a significantly higher activity than the other three dicaffeoylquinic acids (1, 2, 4) and indomethacin in reduction of TNF-a and IL-1b concentrations (8.44 ± 0.62 and 5.83 ± 0.57 pg/mL compared to 12.60 ± 1.30 and 52.91 ± 5.20 pg/mL induced by indomethacin, respectively). Solidago has been used for treatment of different diseases in Europe since medieval times (Arnold from Villanova (1240-1311), Lonicerus 1564; Hieronimus Bock 1565 and Tabernaemontanus (1530-1590). Its diuretic activity is mentioned in “Thesaurus pharmacologicus” Schroeder’s, 1669 (Bader 1999); in Madaus “Lehrbuch der Biologischen Heilmittel” (1938) and in Mayer Monograph of Solidago Virga aurea L. (Mayer and Mayer 1950). In Poland European goldenrod grows all over the country. The raw material of this species is herb characterised by diuretic, detoxifying, anti-inflammatory, and bile secretion enhancing properties. Pharmacological activity of European goldenrod results from the presence of many biologically active compounds, among which phenolic compounds are considered to be most valuable. In this work differences in accumulation of flavonoids and polyphenolic acids in the herb of European goldenrod from natural sites in central and eastern Poland were determined. 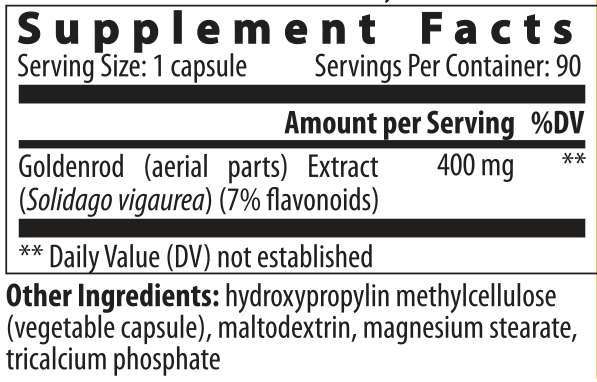 Flavonoid content ranged from 600 to 1850 mg·100 g-1, and polyphenolic acids from 440 to 1200 mg·100 g-1. High content of these compounds was characteristic for the herb collected at the vegetative stage of plant development (in June). Chromatographic analysis (HPLC) showed the presence of three flavonoid compounds (hyperoside, rutin, and astragalin) and two polyphenolic acids (rosmarinic and chlorogenic) in all studied populations. Rutin was the main compound in the flavonoid fraction. Its content ranged from 87.78 to 387.87 mg·100 g-1. The content of rosmarinic acid was higher than the content of chlorogenic acid (mean value: 577.52 and 267.03 mg·100 g-1, respectively). Herbal remedies based on goldenrod (Solidago virgaurea L.) have been well-tried for centuries in the treatment of urinary tract diseases. Investigations in molecular pharmacology could show new mechanisms responsible for the biological effect of natural product from goldenrod extracts. The use of such herbal preparations with a rather complex action spectrum (anti-inflammatory, antimicrobial, diuretic, antispasmodic, analgesic) is especially recommended for treatment of infections and inflammations, to prevent formation of kidney stones and to help remove urinary gravel. This therapy is safe at a reasonable price and does not show drug-related side-effects. 5. Abdel Motaal, Ezzat SM, Tadros, El-Askary – In vivo anti-inflammatory activity of caffeoylquinic acid derivatives from Solidago virgaurea in rats. Solidago virgaurea L. (Asteraceae) is traditionally used as an anti-inflammatory for the treatment of various symptoms including cystitis. However, little is known concerning the constituents responsible for this activity and the mechanism of their action. To assess the anti-inflammatory activity of the phenolic-rich fraction of S. virgaurea aerial parts in rats, isolate and assess the activity of the major compounds present. An HPLC method was developed for the analysis of the phenolic-rich fraction (EtFr). The in vivo anti-inflammatory activity of the EtFr and four isolated compounds (at 25 and 50 mg/kg) were assessed in adult male rats using the carrageenan-induced rat paw oedema model. The levels of the pro-inflammatory cytokines (TNF-α and IL-1β) were measured using ELISA. 3,5-O-Dicaffeoylquinic acid (1), 3,4-O-dicaffeoylquinic acid (2), 3,4,5-O-tricaffeoylquinic acid (3) and 4,5-O-dicaffeoylquinic acid (4) were isolated from EtFr. Compound 3 (50 mg/kg) showed a highly significant activity in inhibiting the oedema volume after 3 h (88% of the activity of indomethacin at 10 mg/kg). The EtFr and the isolated compounds largely inhibited the excessive production of the inflammatory mediators TNF-α and IL-1β. This is the first report of 3,4,5-tri-O-caffeoylquinic acid (3) in Solidago species. The tricaffeoylquinic acid (3) showed a significantly higher activity than the other three dicaffeoylquinic acids (1, 2, 4) and indomethacin in reduction of TNF-α and IL-1β concentrations (8.44 ± 0.62 and 5.83 ± 0.57 pg/mL compared to 12.60 ± 1.30 and 52.91 ± 5.20 pg/mL induced by indomethacin, respectively). Hexane and ethanolic extracts obtained from aboveground parts of three Solidago species (Solidago virgaurea L., Solidago canadensis L. and Solidago gigantea Ait.) were analyzed by gas chromatography-mass spectrometry (GC-MS). Thirty nine and forty nine volatile compounds were detected, respectively in ethanolic and hexane extracts of S. virgaurea, sixty two and forty six in S. canadensis extracts, respectively and seventy three and forty five compounds in the ethanolic and hexane extracts of S. gigantea. Moreover, evaluation of the content of total secondary metabolites (flavonoides, o-dihydroxyphenols) was made. It was found that both ethanolic and hexane extracts showed an antibacterial activity and acted strongly to Gram-positive (Staphyllococcus aureus, Staphyllococcus faecalis and Bacillus subtilis) than Gram-negative (Escherichia coli, Klebsiella pneumoniae, Pseudomonas aeruginosa) bacteria. Hexane extract of S. canadensis acted the strongest of Gram-positive bacteria (minimal inhibitory concentration (MIC) values: 5 to10 mg/ml), while the other hexane extracts showed rather weak effect (MIC values: 100 and > 100 mg/ml). In the case of ethanolic extracts relatively strong activity against Gram-positive bacteria were found in S. gigantea and S. canadensis (MIC values: from 10 to 50 mg/ml). In general, alcohol extracts had slightly stronger antibacterial properties compared with lipophilic ones. However, hexane extracts of the S. virgaurea, S. canadensis and S. gigantea herb exhibited antimutagenic activity (at a concentration of 2.5 mg/ml), whereas ethanolic extracts, in the applied range of concentrations, did not show antimutagenic activity. New aspects about the mechanism of action of natural products from Solidago virgaurea, especially saponins, flavonoids and caffeic acid esters were investigated in order to elucidate their anti-inflammatory activity. The inhibition of leukocyte elastase, a protease included in the progression of inflammation, by 3,5-O-caffeoylquinic acid and by the flavonoids from Solidago virgaurea support the anti-intlammatory action of this plant. The ester saponins of Solidago virgaurea interact directly with membranes of living cells and thereby induce sub-toxic concentration leading to an increase in permeability. This effect induces the release of stored ACTH in a pituitary cell system. 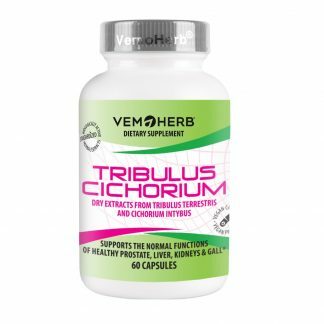 Thus, the synthesis and release of glucocorticoids in the adrenal gland is stimulated, which might contribute to an inhibition of inflammation in vivo. These reported activities of flavonoids, caffeic acid esters and ester saponins offer the possibility of explaining the complex anti-inflammatory action of natural products from Solidago virgaurea and possible underlying pharmacological mechanisms. 9. Thiem B, Goślińska O. – Antimicrobial activity of Solidago virgaurea L. from in vitro cultures. The antimicrobial activity of ethanolic and methanolic extracts of Solidago virgaurea herb from micropropagated plants and callus tissue was evaluated. In this study, the anti-adipogenetic activity of 300 plant extracts was investigated using an Oil Red O staining assay in a 3T3-L1 cell line. Our results indicate that three plants, including the stem and leaf of Physalis angulata, the whole grass of Solidago virgaurea, and the root of Dioscorea nipponica, produced over 90% inhibition of adipogenesis. Kaempferol-3-O-rutinoside, which demonstrated a 48.2% inhibitory effect on adipogenesis without cytotoxicity, was isolated from the butanol layer of a water extract of S. virgaurea guided by the anti-adipogenesis assay in 3T3-L1. PPAR-γ and C/EBPα expression levels were determined using western blot, and our results indicate that kaempferol-3-O-rutinoside has a strong anti-adipogenic effect in 3T3-L1 cells through the suppression of increases in PPAR-γ and C/EBPα expression. Background: Obesity is associated with an increase in adipogenesis and is becoming a serious health problem in modern society. 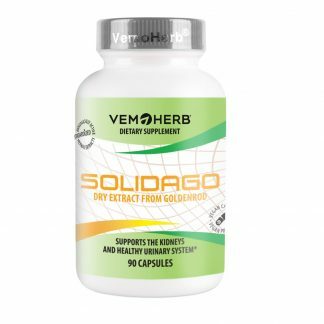 Objective: The effects of various Solidago virgaurea var. gigantean (SV) ethanolic aqueous extracts on anti-adipogenesis in 3T3-L1 cells were investigated. In addition, the effect of SV 10% ethanolic extract (SV10E) on preventing obesity was studied in high-fat diet-induced obese mice (C57BL/6 N). 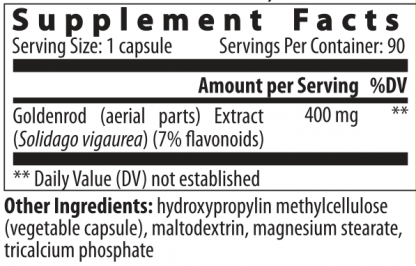 Design: The effect of SV10E on preventing obesity was studied in mice (n = 6): normal-fat diet, high-fat diet (HFD), HFD supplemented with 1% (10 g/kg) Garcinia cambogia extract of 60% (-)-hydroxycitric acid (positive control), HFD supplemented with 0.5% (5 g/kg) SV10E, and HFD supplemented with 2% (20 g/kg) SV10E. Results: SV10E showed the highest anti-adipogenic activity in vitro and reduced body weight gain, adipose tissue size, and liver weight, without affecting food intake in vivo. SV10E administration decreased the levels of total triacylglycerol and cholesterol in serum, and lipid metabolites in liver. Adipogenic and lipogenic genes such as PPAR-γ, C/EBP-α, aP2, FAS, SCD-1, SREBP-1c, and CD36 in white adipose tissue and liver were suppressed by SV10E administration. Conclusion: SV10E can be a potent functional food ingredient for preventing HFD-induced obesity by suppressing adipogenesis and lipogenesis. I purchased this to help me with my detox program. I did a candida cleanse for 30 days and could feel my kidneys working and aching a little from the detox. After taking this amazing product for a while the aching stopped and I stopped waking up in the night to go to the toilet. Very happy with the results. I love natural products that work with the body and are natural. 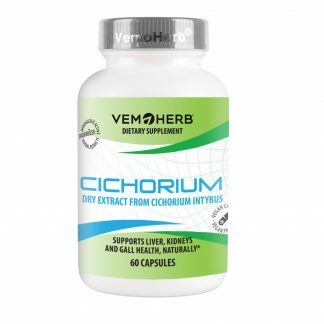 VemoHerb always supply top quality products, organic and biorhythmic. Top notch help for support of kidneys.